Michael Jackson at the 'Roundhay Park' in Leeds, England, 26 Years ago! It was the 29th of August 1988 at the 'Roundhay Park in Leeds and I was there to witness the �Michael Jackson Magic'! It was Michael's 30th Birthday on that day adding to the glitter! Few of us somehow got the tickets and we went early in the afternoon around 2 PM to be at the front of the queue so that we could get a place in front of the podium, hoping to get a good glimpse of Michael, as there was only standing room for the concert in that huge park! We were there three hours before the the gates opened at 5PM for the concert at 6:30PM, and none of us noticed the long hours we stood at the gates and then for the concert � I guess it shows how keen we were! Finally the gates were opened and it was a mad rush and discipline was out of the window as everyone tried to get in first and we found ourselves standing almost in the middle of the park! Kim Wilde was the support act � she gave a wonderful performance and sang her hit songs, including her beautiful debut single, �Kids in America�! But the fans, around 60,000, were waiting for Michael and it was sheer magic when he appeared on stage and the crowed just erupted! And to this date, I really don't know how it happened, we were pushed by the sea of people behind us, each one trying to get closer to Michael, and I found myself standing almost in front of the stage! All of us got separated and those days we didn't have the mobile phones, but somehow we found each other! I still remember the helicopter flying over he stadium with a banner that said, �HAPPY BIRTHDAY MICHAEL� � it was his 30th Birthday that year, and he would have been 56 years today, 29 August 2014! And when he stood motionless in front of the adoring fans for two minutes they couldn't control the excitement! It was a spectacular event with lot of fireworks and explosions to celebrate his birthday and of course, Michael's performance on stage was magical, his every move being applauded by the adoring fans. Then he started singing and it was just heaven � started with 'Wanna Be Startin' Somethin' and sang many of his hits, including those from the 'Jackson-Five'! 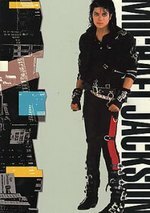 'Beat it, Billy Jean, Thriller, Rock with you, Another part of me, This Place Hotel, I want You Back, Human Nature, She's Out of My Life, I Just Can't Stop Loving You, Bad Groove, etc. followed. And when the concert ended, we all wanted more and Michael returned to the stage to sing one more song! It was a magical evening and that was the last time I saw Michael. He is no more, but we still have his music that we enjoy immensely! I feel happy that I was there to celebrate Michael Jackson's 30th Birthday and I am sure there are millions of fans around the world thinking of the great singer and performer who invented the 'Moon Walk' on stage! 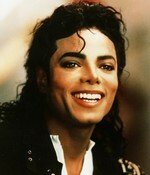 May your soul Rest in Peace Michael!